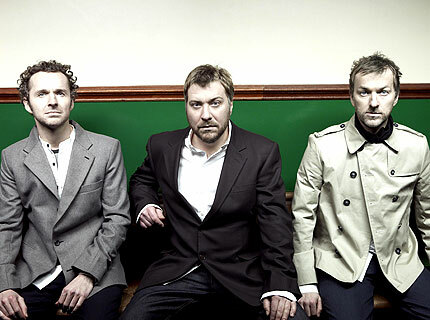 Anthemic British rock trio map 18 dates in support of their April 7 release, Kingdom of Rust. Click here for details! Doves — Manchester, England’s masters of epic indie rock — will cross the pond this spring for their first tour in more than four years, kicking off May 15 in San Diego. The trio will plow through 18 dates in support of their new album, April’s Kingdom of Rust, wrapping up June 7 in Boston. They’ll also join Kings of Leon, Jane’s Addiction, Nine Inch Nails, and dozens more at Washington State’s Sasquatch! Festival over Memorial Day weekend. Williams says he’s excited to tour not just because he adores playing live — “We’ve not been on the road for four years. It’s going to be great getting out there again!” — but also because travel figures thematically into his band’s new album.